Notes, Exercises, Videos, Tests and Things to Remember on Ban on Political Parties & Socio-Economic Achievements from 2007-2017 B.S. Note on Ban on Political Parties & Socio-Economic Achievements from 2007-2017 B.S. Sharp critics and the opposition party requested the king to dismiss the government. The ruling party neglected the voice of the people and the opposition. There was an internal conflict in the ruling party. King Mahendra was a power lover and he wanted to rule the country directly. There was lawlessness insecurity which helped King Mahendra to dissolve the government. Parties were involved in fulfilling their personal interest. The power was used to fulfill personal interest of the individuals keeping the nation and the people aside. No rules and laws were respected by the people and the parties. The government tried to make the administration weak as they worked for their personal benefits forgetting people's sentiment and interest. Corruption was increased because of the misuse of the power and authority. The government failed to maintain peace and order in the country. Anti-national elements increased and national unity was threatened. King Mahendra, who didn't like the multi-party democracy, took the opportunity on Poush 1, 2017 B.S. and made a speech broadcast on the radio announcing his takeover. "Because of the misuse of the authority, corruption has increased, and there is anarchy in the nation so that national unity is threatened. Random economic decisions have caused instability. In order to protect national unity, create peace and cooperation and to save the whole country we are forced to act according to Article 55 of the constitution and will suspend the cabinet, both houses of parliament and the party system. We will take sole responsibility as laid down in article 55 until a new system is put in place. With good wishes and support from all Nepalese, good governance will prove to be possible." This announcement hijacked the democracy the Nepali people fought for years through blood, sweat and sacrifice. This day is remembered as Black Day in Nepalese history. The ban on political parties was also put into effect. The king had arrested Prime Minister BP Koirala, the ministers, and other leaders and put them in prison 4 hours prior to the announcement. Curfew was put outside the royal palace every night then onwards. This royal act is called the coup of 2017 BS. On Poush 1, 2017 BS he announced partyless Panchayat system. Social and Economic Achievements from 2007 B.S. to 2017 B.S. Establishment of various friendly and diplomatic relations with foreign countries. The Radio Nepal started its broadcasting service. Establishment of Padma Kanya Multiple Campus, the first women college of Nepal in Bagbazar. Paropakar Anathalaya was established by Dayabir Singh Kansakar. Many english medium schools were established. Similarly, the number of schools reached 4191 whereas, during Rana regime, the number of schools was only 335. Nepal became a member of the United Nations Organization (UNO) on 14th December 1955 A.D. 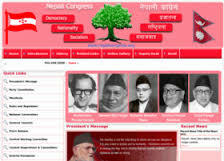 The first elected government under Bishweshwar Prasad Koirala (B.P. Koirala) was formed. Multiparty democratic system was practiced. The first democratic constitution was formed. Highways were built in Nepal. 5 Year Plan started for the first time from 22nd Aswin 2012 B.S. and implemented from 2013 B.S. Provision of Annual Budget started from 2008 B.S. Mohiyani Hak (Farmer’s Rights to land) was introduced from 17th Bhadra 2013 B.S. Nepal Rastra Bank (14th Baishakh 2013 B.S.) and Agricultural Development Bank was started. Telephone and telegram services were started. The system of Birta was abolished from2016 B.S. Through NIDC (Nepal Industrial Development Corporation) establishment of industries was encouraged. Question: If you were a member of political party, what programs would you launch against King Mahendra's action? I would aware people to protest against the king's undemocratic step. I would organize a mass protest rally against the step of the king. I would distribute posters, pamphlets to aware people. I would inspire people so that they would create strong protest without having the fear of being jailed. King Mahendra, who didn't like the multi-party democracy, took the opportunity on Poush 1, 2017 B.S. This announcement hijacked the democracy the Nepali people fought for years through blood, sweat and sacrifice. This day is remembered as Black Day in Nepalese history. The king had arrested Prime Minister BP Koirala, the ministers, and other leaders and put them in prison 4 hours prior to the announcement. Curfew was put outside the royal palace every night then onwards. This royal act is called the coup of 2017 BS. On Poush 1, 2017 BS he announced partyless Panchayat system. Which were the suspended clauses of articles by late king Mahendra? What were the consequences of ambition of the late king Mahendra to have sole power in the country? Party less Panchayat system started. The agitation by the Nepali congress and other parties increased. 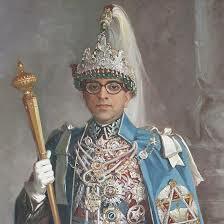 King Mahendra gained popularity for his work of keeping peace security and good governance. India opposed this step but China welcomed it. What achievement did Nepal made during the rule of late king Mahendra? He introduced the first five year plan. He introduced the Muluki Ain. He constructed East- West highway and Araniko Highway. He established Patan industrial estate. He introduced new education plan 2029 B.S. He adopted non-aligned foreign policy. Why 1st poush is regarded as black day? On 1st Poush, 2017 B.S. king Mahendra dissolved the then government. He arrested B.P. Koirala and other ministers and imprisoned them. Further, he dissolved the Panchayat system and put ban on the political parties. The existing constitution was paralyzed. It was from this day onward that people had to struggle to restore democracy. Therefore, 1st Poush is regarded as the 'Black Day'. How would you react on the prohibition on political parties if you were the member of the political party? Prepare a programme against the act of the king. I would join the meetings of the parties and plan opposition programme secretly. I would arrange procession against the action of the king. I would encourage every person to act against the king and his rule. I would send recommendation letter to step down the power. Why was panchayat ruling system against people? Present your logic in three points. Present two similarities and four differences between the political steps taken by king Mahendra on Poush 1, 2017 BS and the king Gyanedra on Magh 19, 2061 BS in a table. Panchayat ruling system was founded by king Mahendra on Poush 1, 2017 BS. It was very undemocratic step of the king because it dismissed the elected government of B.P. Koirala, suppressed people's rights and initiated party less panchayat system. Because of the following points, Panchayat ruling system was against the people. All the democratic norms and values were paralyzed and political parties were restricted. People were provided with no fundamental rights and panchayat based constitution was enacted. There was no rule of law, as the king himself would make decisions in every state mater. The steps of both were undemocratic and had suspended the elected government. People's rights were paralyzed and monopolistic ruling was begun in the king's premiership in the both ships. The difference between the steps of king Mahendra and Gyanendra are as follows. (a) King Mahendra had banned on the political parties and initiated the Panchayat. (a) King Gyanendra had only restricted the activities of political parties. (b) The constitution if 2015 BS was entirely suspended. (b) Only some articles were paralyzed in constitution of 2048 BS. (c) Party less panchayat was begun. (c) No any such system was introduced. (d) Most of the political leaders were imprisoned. (d) The major leaders were kept in home imprisonment. Late King Mahendra abducted democracy on Paush 1, 2017BS. How would you have responded if we were asked to support his step? Why? Write in a sentence. If I were asked to support Late King Mahendra's abduction of democracy on Poush 1 2017 BS, I would not have supported him. But I would have definitely requested him that it would be better for the long run of Shah Dynasty if you could be in throne being respected instead of seizing the power of people. When was the constitution of Nepal 2015 BS promulgated? When was Panchayat System declared? Who was the first elected Prime Minister of Nepal? When did King Mahendra dismissed the elected government of Nepali Congress? Any Questions on 'Ban on Political Parties & Socio-Economic Achievements from 2007-2017 B.S. '?